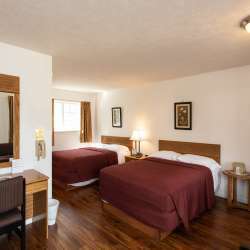 Like several properties here in Traverse City, Sierra Motel is a family-run business. 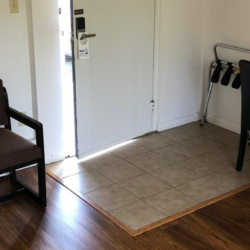 Step inside the motel—conveniently located a block from Northwestern Michigan College—and meet Co-Owner Cony Duimstra, and you’ll feel very differently about it here. It feels like you’ve stepped into your favorite aunt’s home. “We’re all about family here,” Co-Owner Cony Duimstra explains. “We want every guest to feel like they’re visiting their favorite relatives.” It certainly does feel that way here. Cony (as in Constanza), along with her husband, Slim, have owned Sierra Motel since 2009. Cony moved up here from her native Columbia to help run it. Their son, Hugo, is currently managing the property. Cony is still very active in the day-to-day operations. In fact, she still does much of the housekeeping, taking great pride in keeping it spotless and treating it like it’s her own home, which, since her and Slim live on the property, it actually is.